Murdoch MacLennan has stepped down from his role at the Telegraph nine months after moving from chief executive to deputy chairman. He remains a non-executive director. MacLennan headed up the Telegraph business for some 13 years, returning relatively healthy profits to owners the Barclay brothers. 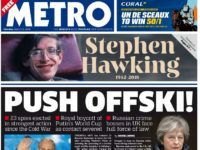 But there have also been successive waves of cost-cutting with hundreds of journalists sacked as the title has tried to transition from being a print to digital brand. In July last year MacLennan was made chairman of the Scottish Professional Football League. He is also chairman of Press Association. 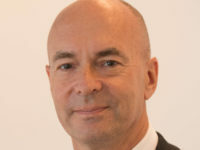 MacLennan was replaced as Telegraph Media Group chief executive by Nick Hugh in June last year. The following month the business revealed a sharp drop in operating profit from £48.3m in 2015 to £32.2m in 2016. Turnover dropped to £295.5m in 2016 from £314.6m a year earlier. Maclennan has been appointed chairman of the board of INM in Dublin which is definately not controlled by major shareholder Denis O’Brien, who is a much loved and respected Irish businessman, not an oligarch in anyway. INM publishes The Irish Independent, and Sunday Indelendent previously owned by Sir Anthony O’Reilly who was certainly not to blame for journos in the Indo and Sunday World losing between 20% and 25% of their pensions. These great newspapers have in no way compromised their integrity by accepting ads from the Irish Government which insisted said ads should appear as news articles and not be identified in any way as avertorial. Yes MacLennan will fit in nicely in Dublin.